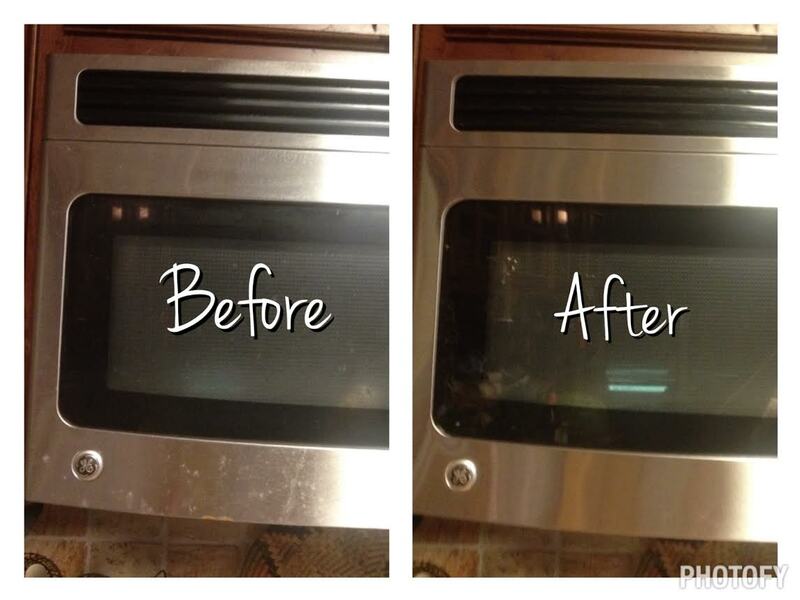 Part 1 of my Clean Your Home Naturally (without Toxic Chemicals) series: How To Clean Your Microwave Naturally. When I catch the cleaning bug I always start in the kitchen because it seems like there is no end to stuff to clean. I try to keep the dishes done and the counter tops clean on a daily basis but so much other kitchen cleaning just falls to the wayside because I simply don’t have time (or the baby decides I’m done cleaning even when Mommy still has some motivation left to clean!). I’m embarrassed to admit how long it has been since cleaning the inside of the microwave… it’s probably my least favorite cleaning activity (I’d rather clean the toilet). Part of why I hate it so much is that food splatters (because honestly, who uses those nifty little food covers for everything you microwave?) then gets cooked on by repeated microwave use and is super hard and crusty when it comes time to clean. I’d heard many times that you could use vinegar to clean the microwave so naturally with my love of all things vinegar I had to give it a try. I looked at many sources and they were pretty much all the same: Use a mixture of 50/50 vinegar and water, put in microwave for 5- 10 minutes so that it boils and makes steam (this is what moistens and loosens the caked on food), then wipe clean. The one variation I saw said to put a toothpick, or something wooden, in the water. 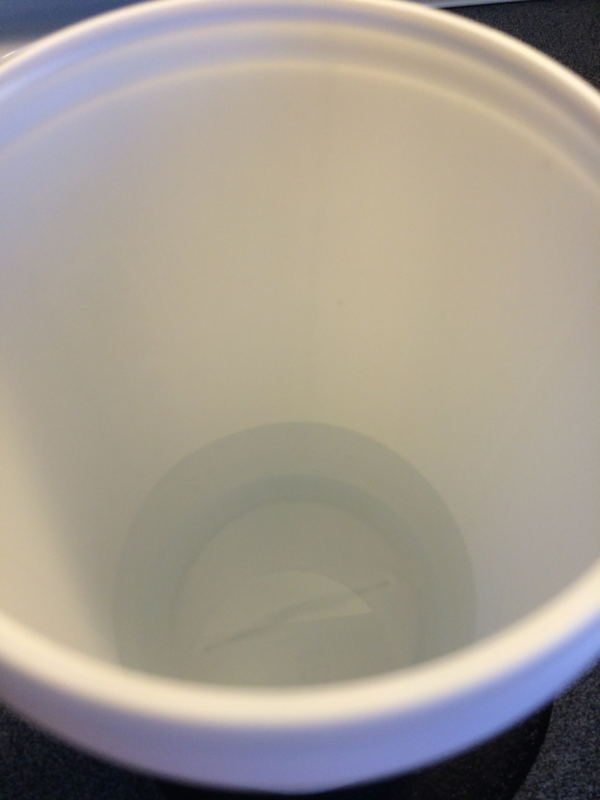 I chose to use a 1 cup glass measuring cup with ½ cup DWV and ½ cup water. I first microwaved for 5 minutes and still felt like the baked on food was a bit harder than I hoped it would be so I put it back in for 10 minutes, which was a bit too long. It never made it to 10 minutes before it scared the hell out of me by popping and actually blowing the door to my microwave open!!! Perhaps this is why that one author said to put a toothpick or something wooden in there, I don’t know… But next time I’ll start with like 7 minutes, then add 1-2 minute increments if I feel like it needs more time. Thankfully, nothing was hurt – the glass didn’t break and the microwave door still opens and closes just fine. 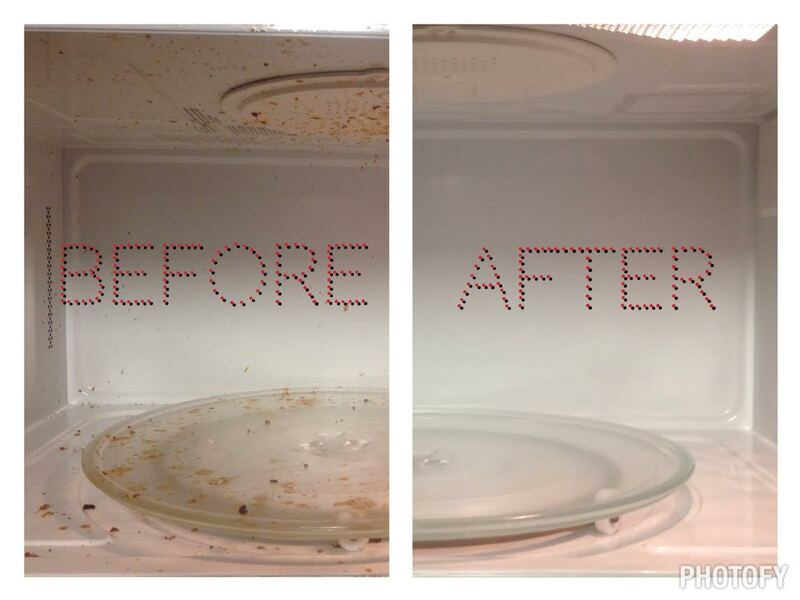 It did mean that the vinegar/water solution sprayed all over the inside of the microwave, however. After I mopped up the excess solution I took my sponge and just wiped the inside of the microwave down and I’m pleased to report that there was NO scrubbing!!! Every little bit of baked on food wiped right off without the slightest resistance! 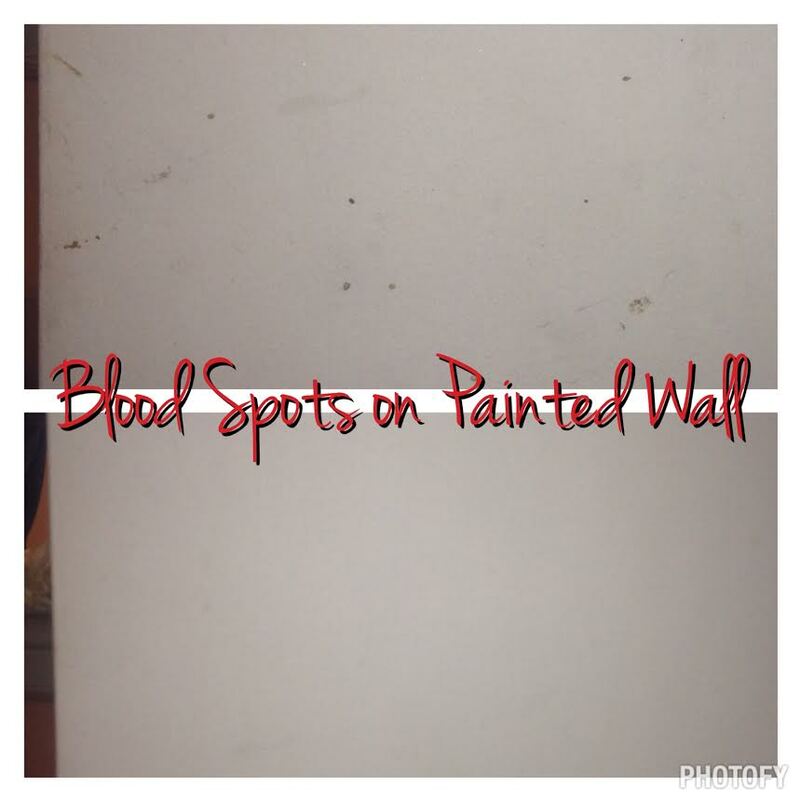 Check out my before and after photo! 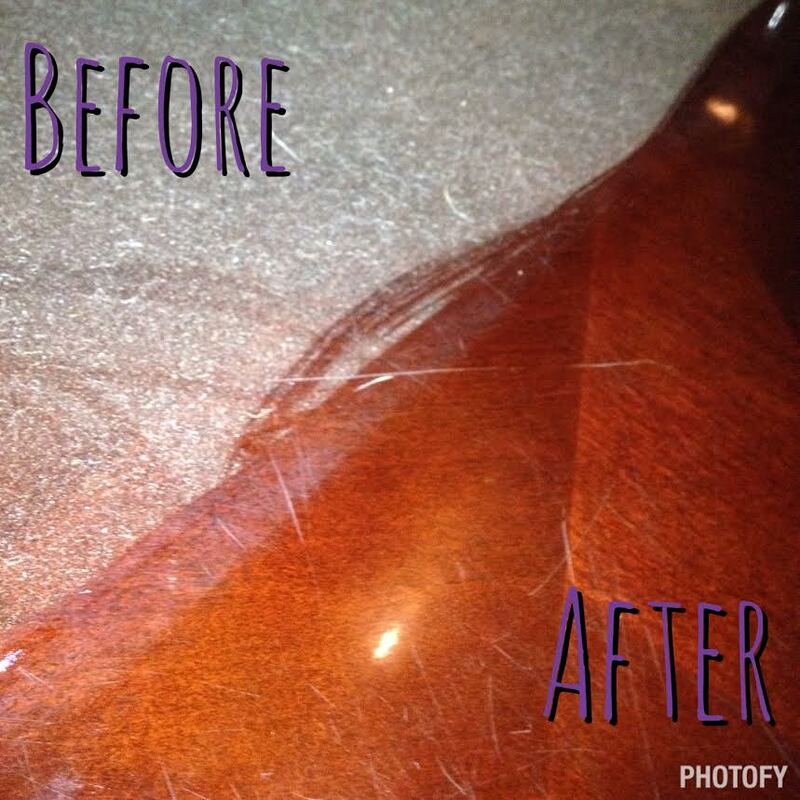 Do you have favorite non-toxic household cleaning tricks? Share them in the comments below to keep the conversation going! Also, make sure to check back daily this week for more DIY non-toxic cleaning recipes and household hacks!!! Did you miss my introduction to my Clean Your Home Naturally (without Toxic Chemicals) series? Find it here. 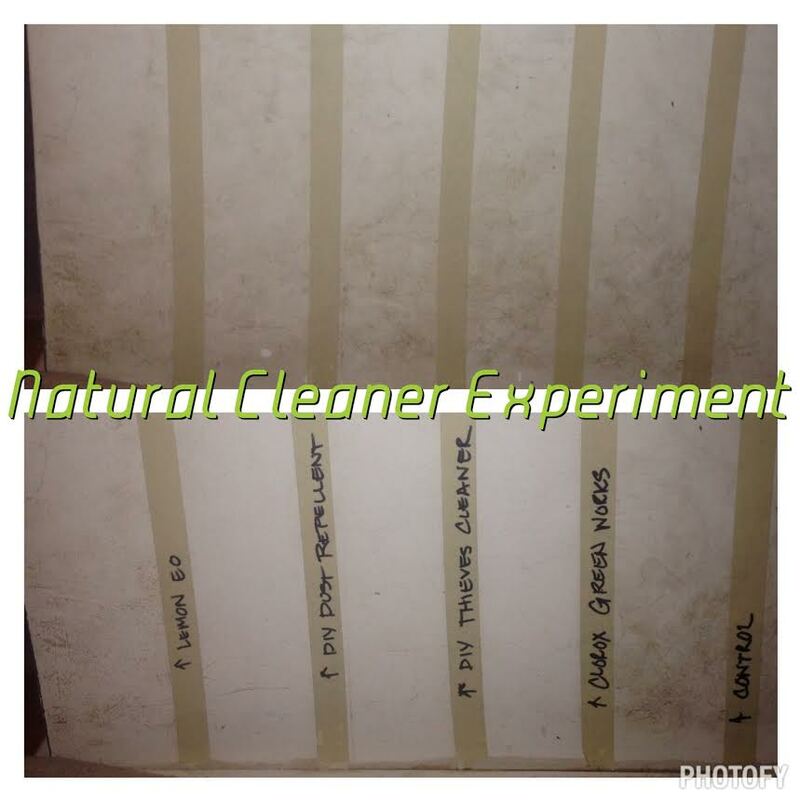 Categories: DIY Cleaning Products and All Natural Household Hacks | Tags: chemical free, cleaning, DIY, household hacks, microwave, natural cleaners, natural lifestyle, natural living, non-toxic, spring cleaning, vinegar | Permalink. Clean Your Home Naturally (without Toxic Chemicals) this Summer! So I’m a little behind on the Spring Cleaning kick. I’d love to blame my 4 1/2 month old and say that I was a stellar housekeeper (like my Mom) before she was born but that would be a lie. Quite honestly, I’m a bit lazy (as you will see in some of my before and after photos) and just don’t enjoy cleaning. But my crunchy journey and adventures in trying to live a more natural lifestyle have made me hyper-aware of the toxic chemicals that I expose myself, and my family, to when I do get around to cleaning. So before we had company over for our first BBQ of the season on Memorial Day I set to learning more about how to clean my home naturally. I’ve already shared about my love of Thieves oil (see my previous post All About Thieves) and my DIY Thieves Cleaner (find my recipe here!). I had only used the cleaner in the bathroom at the time of writing that post and while I was impressed with its cleaning power my husband was still a bit skeptical that it would be as effective at cleaning grease and kitchen grime as it was at cleaning soap scum. I’m pleased to report that my DIY Thieves Cleaner cleaned my kitchen counters and glass top stove better than any cleaning product we’ve used recently (that includes the Clorox Green Works all purpose cleaner – remember how I told you I tended to get caught up in sketchy advertising for “natural” products – and Greased Lightning – which is wonderful at cleaning but has super scary warnings on it “THIS MATERIAL IS HAZARDOUS UNDER THE CRITERIA OF THE FEDERAL OSHA HAZARD COMMUNICATION STANDARD 29CFR 1910.1200.”). My DIY Thieves Cleaner even passed muster with the hubby when he got home! Winning! So, inspired by the success of my DIY Thieves Cleaner I set out to find other natural, non-toxic, chemical free ways to clean my home, which I’ll be sharing with you throughout the week. In the process, I’ve discovered that I have a new favorite essential oil: Lemon!!! 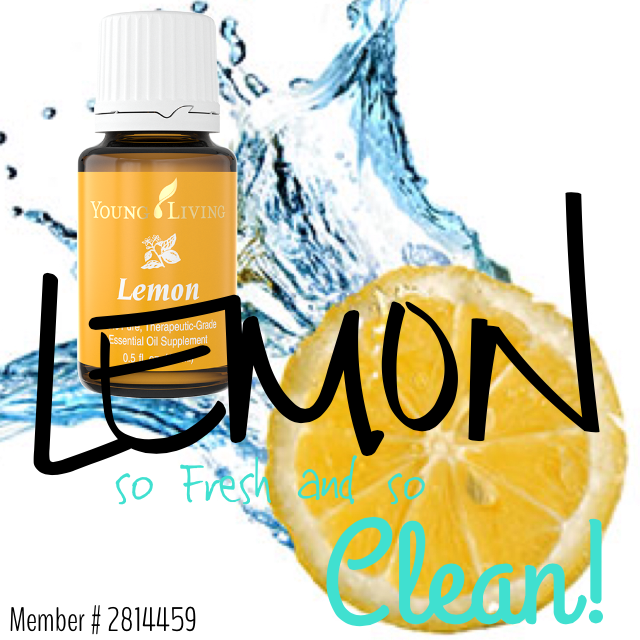 Lemon essential oil is a wonderful addition to your non-toxic cleaners because of its ability to deodorize, cut through grease, eliminate hard water stains, remove sticky residue, even to clean crayon off your walls!!! Other all natural cleaning ingredients you’ll want to have on hand as you follow my Summer Cleaning recipes this week are Distilled White Vinegar (DWV) and Baking Soda. See my post 5 “Must-Have” Ingredients for why I love these two, among others! Don’t have Thieves oil or don’t want to make your own cleaner? Young Living has a Thieves cleaner already made! It’s pre-diluted and only a capful or two will make an entire spray bottle! Available in 14.4 or 64 oz sizes. Order yours here! Stay tuned this week for my daily updates on ways you can clean your home naturally (without toxic chemicals) this summer!!! Categories: DIY Cleaning Products and All Natural Household Hacks, Young Living | Tags: chemical free, DIY, essential oils, household hacks, lemon, natural cleaners, natural living, non-toxic, spring cleaning, thieves, young living | Permalink.